uhh uhhhhh uhhhhmmmm…..holy @$%! this is pure fire right here. it looks like something to rival the dutch masters! What a beautiful tribute brother ! That is truly epic. Job well done. Very nice, Marq. Very nice. Wow! Wolf does Fantasia! Schweet! …curious as to the # of colors utilized in the creation of this epic silkscreen masterpiece? … mind has officially exploded! Stunning print Marq! They keep getting better and better! If anyone is going to the show and can grab any extras, please let me know. Beautiful Poster, i was at the show last night when Bob Weir was a special guest! i went to buy this poster but was sadly sold out! Anyway i can buy this print still? I honestly can not stop looking at this image.. I am absolutely blown away. I was not at the show, but I will be going to try to get this print. It is fantastic. I met Marq last year in SF he is a great guy. 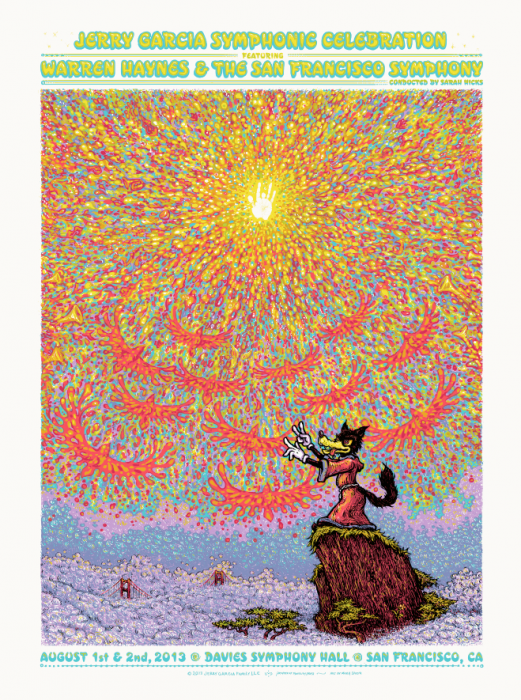 I have his Phish Providence 2010 pint in my Bedroom one of my all time favorite prints. I hope to score this. OMG!!!! This is unbelievably amazing. This is something you just throw some music on and get lost in. A must have!! I wish I lived in America so I had a chance of getting one of these. Over $5500 going to charities – nice job, Marq. Looks like one person bought 5 of the 6! Just saw the trypt Further print. I was floored. Congrats on that Marq, it is one of your best yet. I was at this show, and even though I attended at least 40 Dead shows and 25 JGB shows, last Summer’s performance with the SF Symphony was one of the Top 5 musical moments of my life…! Can I buy this poster? They’re not too difficult to find. Check out ebeans. 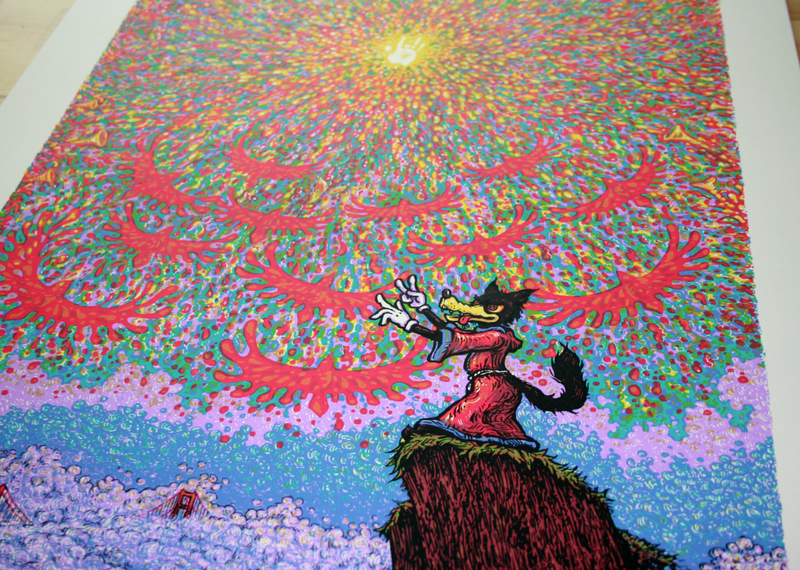 Most people are after the art print, “Wolf’s Symphony”, instead of the gig prints. Do you have a link? Back at the search again tonreplace this gem! I found one on ebay, I am wondering if you signed the art prints in pencil?